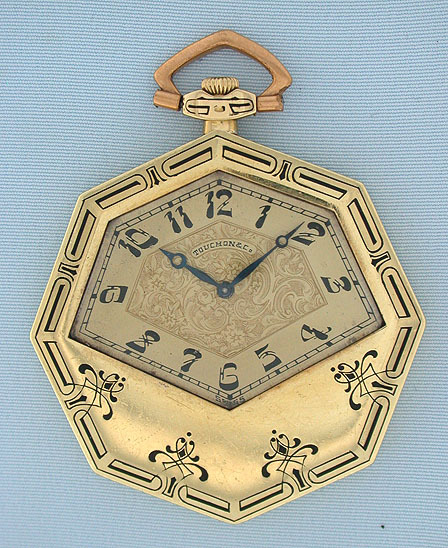 Unusual Touchon Swiss 18K green gold and enamel Art Deco antique pocket watch circa 1925. 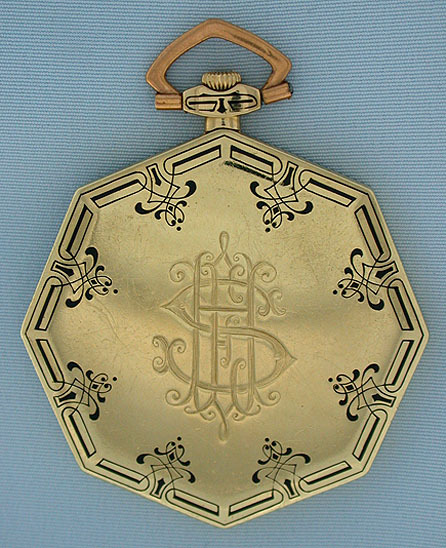 The octagonal case with beautiful enamel decoration and typical signs of careful use. 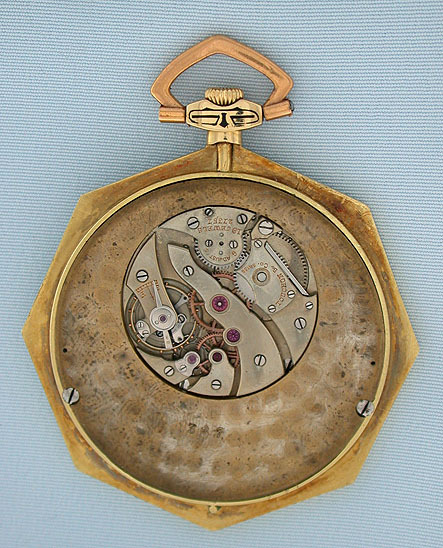 Original dial with natural oxidation and attractive light aging, engraved center, and blued steel hands. Nickel 18 jewel 6 adjustment movement.